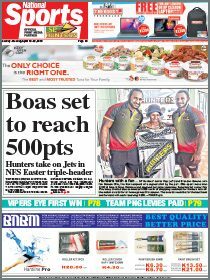 CPL Eastern Stars have a great opportunity to get their finals aspirations back on track against lowly Petro Souths in an NSL double-header in Port Moresby tomorrow. In the main game Hekari United will face a determined Gigira Laitepo Central Coast at Lloyd Robson Oval. Both the Stars and Gigira need a win to stay in contention for a top two spot. A win by Hekari will be enough to secure the minor premiership. Stars, who have been struggling without a proper coach, are expected to beat the badly out of form Souths. Skipper Cyril Muta, Eliuda Fugre, Pascal Wojem, Jeremy Yasasa and Felix Bondaluk will be leading the charge in what is essentially seen as a one-way match. But Souths coach Henry Maino has Pedro Ajakopa, Andrew Joe, Marshall Lori and Joey Ambrose to make sure Stars earn their win. Strikers Ronald Sohuro and Norman Tawalo who have had quiet seasons could come good for the Highlanders at PRL. Hekari on the other hand have a battle on their hands with the Coast eyeing a finals appearance and needing the win to ensure their passage. Coast may be a notch down in class but in the Davani brothers, Alex and Reginald they have ample strike power to make it interesting. 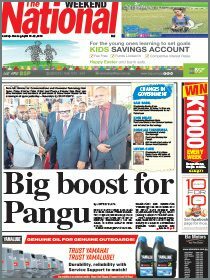 Hekari, the undisputed kings of PNG football, will no doubt be out to maintain their lead. Raymond Gunemba made a successful return during the midweek clash against Souths and is expected to start alongside Kema Jack or Vili Dunadamu forming a menacing frontline.David Muta, Pita Bolaitoga, Wira Wama and Eric Komeng are creative in the midfield while Taniela Waqa and Andrew Lepa are rocks in the backline. In Lae, Tukoko Uni will want a win against Bulolo to farewell their founder Misty Baloiloi who leaves the team to contest the general elections later this year. The NSL points ladder as of last weekend: Hekari 31, Besta 20, Eastern Stars 19, Gigira 19, Bulolo 13, University 8 and Petro Souths 7.